Adweek interviews healthcare marketing specialist and principal of Bryant Brown Healthcare Bob Brown about moratorium on DTC drug advertising. We have been watching, with a vested interest, news of a congressional bill calling for a three-year moratorium on advertising newly approved prescription drugs directly to consumers. So has the rest of the industry. That’s why Adweek contacted us to share our viewpoint. See the story here. In the Adweek article, we voice our opposition to the bill. Why? Not because, as a healthcare marketing agency, we oppose regulation of advertising. Quite the contrary. We support all legislation and guidelines that help enhance the clarity and accuracy of communications, and that help protect consumers from misleading marketing. That is why we oppose the regulation: We believe it is bad for consumers by potentially impeding the effectiveness of communications and consumer empowerment. Rosa DeLauro, a Democratic Congressperson from Connecticut, has introduced the bill, titled the “Responsibility in Drug Advertising Act of 2016.” This legislation would prevent DTC advertising of newly launched pharmaceuticals for the first three years. In related news, the FDA has announced that is conducting a study to assess how animated figures, such as a pink intestine promoting an irritable bowel syndrome (IBS) treatment, affect consumers’ understanding of a drug’s potential benefits and adverse effects. Both of these actions – Representative DeLauro’s bill and the FDA’s investigation of the use of animated “mascots” – raise questions of how far legislative bodies should go in dictating the conceptual foundation of communication campaigns. What if an animated intestine is best? What if an animated intestine is the easiest way for people to comprehend IBS? We respect and support Congresswoman DeLauro’s efforts to control drug costs and inappropriate promotions. However, we also believe that advertising can play an important role in patient education and empowerment, beyond the scope of what overworked clinicians can offer. We are very wary of attempts to regulate conceptual choices such as whether or not to use an animated figure. 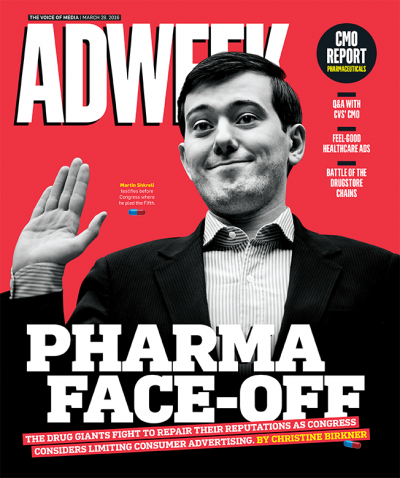 This issue is generating intense coverage from consumer, medical, and advertising industry media, including Adweek, where our principals have shared their perspectives informed by more than 17 years of launching pharmaceuticals to professionals and consumers…sometimes with healthcare marketing campaigns featuring animated figures!